Keywords are the most important part of SEO to get our business website rank high on Google. So while it so important for the business owner and the blogger there are a lot of the best keyword research tools out there to help you find the best keyword research for the new post optimization. But today we had covered the most popular keyword research tools that SEO experts actually used and recommended for us. All of these tools are great in ways of the keyword analysis for the good ranking position opportunity. Use one of all these best keyword research tools for building and start-up strategies of keywords analysis for the SEO optimization on your blog post to get organically traffics to your website. Google Keyword Planner is the best place to start when you think of the keyword researching and keyword research tools for SEO. It is the best free keyword research tools that had designed for the advertising but also can use to find the most competitive keywords for competing with our competitor when we are start-up the content marketing. Enter your products, service, and your competitor landing page target keyword into the keyword planner to find the keyword ideas. If you plan to do the SEO & CPP together Google keyword planner will help you all of these things and determine which keyword is better for you to use and optimize it on your on-page SEO. You need to pay attention to keyword group keyword and keyword ideas to get average the right keyword for your new content start-up. It is the Best SEO tools that you can use to find the right keyword for your website SEO and get better ranking position on the SERP. SEMrush is a great tool when it comes to SEO optimization strategies and competing with your competitors. It has a ton of features out there that help you to get your website getting better on the internet and ranking on search engine. 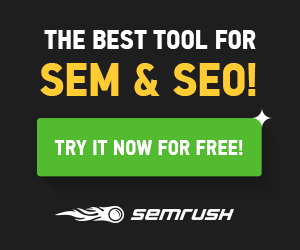 We also can use SEMrush to find the best keyword research for our new content too. What you have to do is enter the primary keyword that you had targeting and search on the SEMrush then you will find keyword ideas that help you are doing compete with the competitors. It also provides how many competitors on that keyword, so you can start building the strategies and start analysis the keyword for the website ranking opportunity. …then I can do the competitive with my competitors easy by writing more in-depth content than them. And do backlink analysis and start build backlink to get completely compete with the competitor for my website ranking on Search engine. As you may know, that link building the best ranking factor of Google search engine. It also the best keyword research tools that you can use to find the best keyword for optimizing your new blog post. It provided the keyword difficulty, search volume, CPC, Trend, SERP, and Result in SERP which great to let us know about how it getting difficult to rank for and did we should or we shouldn’t. You also can use the feature on SEMrush like Keyword Magic tool and is just release by SEMrush itself and it really useful feature for to make the keyword analyze. Keyword Magic tool is the best keyword analysis tools that give you an idea of the keyword researching and start the content marketing. Keyword research tool like KWFinder is allowed you to find the long tail keywords and it comes with a great user interface. This keyword research tool has good designed and easy to check out your keyword analysis. It provides you all the data that related to your target keyword research such as keyword suggestions, search volume, keyword difficulty, trending, CPC, PPC and SERP page that make you easy to do compete with to website that has the good ranking position. What I most like about the KWFinder is the best filtering keywords. You can filter out the keyword difficulty, CPC, PPC, Include & Exclude keyword, and the Number of words. The filter really useful option because we can target the best keyword that is good and easy to rank on the search engine. Which is easy for us to target those keywords for the new content and get a better ranking position result on the search engine. It one of the best keyword research tools that you must use on keyword researching for your content marketing and SEO optimization. I really love to use this best keyword research tools because of it an awesome tool for the long tail keyword research and it structured the data very well. It takes a very short amount of the check out your targeting keyword and does the analysis whether you should still target that keyword or move to another keyword if it had to be ranking on the SERP page of the search engine. Moz really popular software when it comes to SEO optimization. It provides a lot of useful feature for the SEO and marketing tools out there that help you increase you’re organically traffic to your website from Search engine. You can also use Moz Explorer to do the keyword research for your new content and market is for the ranking SEO and make that post search engine friendly by optimizing the keyword that this tools suggested. It the best Keyword research tools that you can use in term of the keyword research for your new content and keyword analysis. This best keyword research tool also provided the most important of SEO factors like Moz Domain Authority, Page Authority, search volume, keyword suggestion, keyword difficulty, and SERP to make you get easy to compete with the competitor within your target keyword. The is also the SERP analysis feature which is a good feature that you need to improve your content ranking by optimize the keyword and do the compete with the competitors. You can also export the keyword searched data from Moz Explorer to your computer if you want to. Keyword research tool like Ubersuggest is the best free keyword research tool, this keyword tool is provided data from the Google search suggestion which is really good for you because it tells you what the exact phrase or question that people are asking on the Google search engine. Ubersuggest is the best in keyword researching platform that you can use for researching your targeting keyword whether it hard to be optimization and ranking on the search engine or easy. The most important of this tool is all the data of the keyword that they give you is from the Google search suggestion which is so great for us to know the exact keyword that we should optimize with our blog post. This tool is introduced by one of the most popular online marketers is Neil Patel he owns this and give us to use for free and it really valuable for everyone in the search term. This one of the best keyword research tools that you can use to find out the keyword ideas for the content marketing. …And it helps you lot of the keyword ideas and keyword analysis. This is also the of the best long tail keyword research tools that help you find the best long tail of your target keyword. It comes with the beautiful user interface. You can simply use it and feel good with this tool. Long Tail Pro is the best when it comes to long tail keyword researching for the SEO optimization. You can use the Longtail pro to find the best benefit keyword for your new content SEO for the organically search traffics from the search engine. It becomes one of the best keyword research tools that most of the SEO experts are recommended to every for the keyword researching tools. Keyword Tool is the best place for getting the search volume data and gets the millions of keywords for the content marketing. This best keyword research tools is a multiple purpose keyword researching and you can use this keyword search tool for any kind of your planning purposes such as Google keyword, Youtube, Amazon, Bing, App store and Instagram. For the benefit keyword research, you need to pick the right purpose for you the plan of doing research. When you come on the content marketing you need to pick the Google and Bing for getting the search data from those two Search engine. If you are about to start selling products you need to search for the Amazon keyword data. LISGrap is the best place to find the LSI keywords for you new content ranking, You will get the best LSI keywords from the LSI graph. It becomes the best place for every when it comes to the search term of the LSI keyword and analysis. This tool will help you find out the best LSI keyword very quick to optimizing your content to make more SEO friendly. It is the most useful SEO tools that every blogger should use to gain the organically search traffic from the search engine like Google and Bing. Because it will suggest you with the keyword that better for you to get higher ranking on search SERP. SERPstat is one of the best keyword research tools that help in SEO of the on-page optimization. It will give you all the search data that related to your primary keyword so you have ideas of the keyword optimization on your contents. You have options for the keyword research based on the country your business targeting. If you business target in United State you have to pick Google.com, This method will show you the exact keyword that was related to your primary keyword of people are searching on the search engine on that country. And the difficult score will measure how the keyword actually easy or hard to rank on the search engine if you target that keyword on your content. The best keyword research tools like SERPstat is always the place that you can use for the multiple purposes of keyword researching. This is best keyword research tool when you come with SEO optimization with your competitors. SpyFu also allows you to find your competitors most profitable keywords that your competitors gain on search engine organically traffic from. It also becomes one of the best keyword research tools that most of the SEO experts actually use and recommended to us to be used. When we need organic traffic from the search engine for your business website. All of these Best keyword research tools that we provided on this article is really benefits for every blogger and business owner to find the most profitable keywords that your competitors gain from search engine organic traffics.